My husband and I stayed at Saratoga Springs Resort and Spa on our last trip to Disney World. We weren’t sure what to expect. 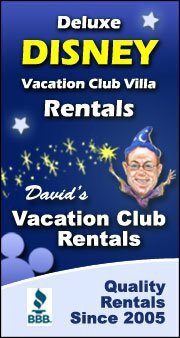 As a DVC resort, it is one of the cheapest, oldest and easiest to book of the resorts. Saratoga ended up not disappointing and I’ll give you 9 reasons why! Saratoga Springs Resort and Spa is considered one of Disney’s Deluxe Villa Resorts. It is modeled after a New York resort from the 1800’s known for spas and horse racing. So, the resort is Victorian in style and has many features reflecting it’s theme. Disney Springs is the re-vamped Downtown Disney area with shops, restaurants and entertainment. It is free to access and is great fun to just walk around in and enjoy. It is only a short boat ride away! It did feel like were waiting for our boat for a while though, as most of the boats were full of Tree House Villa guests and they wouldn’t stop. But, I shared this concern with Disney and I hope it is remedied soon. The ride to Disney Springs itself is less than 10 minutes, so give yourself about 30 minutes in case you have to wait for a boat too! Saratoga is not short on entertainment! Between what’s on site and Disney Springs being so close, you could easily make Saratoga a resort only vacation and not have to visit the parks at all! Saratoga has 2 feature pools, each with a waterslide. The main feature pool is called High Rock Spring Pool and has a 128 foot waterslide built into the rocks, a kids area, kiddie slide and two hot tubs! The second feature pool, the Paddock Pool, has a 146 foot long slide, 2 kiddie slides and a hot tub. There are three additional leisure pools with a hot tub at each! There are so many activities from movies under the stars and campfires to sunrise yoga! Check out all of Saratoga’s Recreational Activities! but, you’ll find bits of Disney like in the pillows with Maximus on them, Flynn Ryder’s horse from Tangled! And, as always you’ll find hidden Mickey’s throughout! I already mentioned the boat transportation to Disney Springs. In addition, Saratoga offers Bus Transportation. You should be aware that Saratoga is not walking distance to any of the parks and you will need to take the bus. Some parks will take longer to get to than others, especially Animal Kingdom! Saratoga is a large resort with four different areas, the Grandstand, Springs, Paddock and Congress Park. So, they have buses that stop at each section providing internal transportation as well. We stayed at the Grandstand section as we were told this is the first stop to be picked up and the first to be dropped off when returning from the parks. This way we knew we would be guaranteed a seat. But, this was never an issue that we saw and it may have been just as nice to get on last and head straight to the parks after getting on. The order the bus picks up is The Grandstand, The Paddock, Congress Park and Springs is last. Because Saratoga is away from the main hustle and bustle of Disney and is so spread out, I can almost guarantee you’ll find calm, quiet and plenty of privacy! We don’t play golf, but if you do, this would be the resort for you! Disney’s Lake Buena Vista Golf Course with it’s 18 holes is considered a Championship Course and has hosted PGA and LPGA tours. Our room looked out onto the golf course! Cost alone for Saratoga booked through Disney is quite pricey, at over $350 per night! But, using DVC points during the value season, it’s only 10 points per night for a Deluxe Studio! If you’d like to stay at a Deluxe level resort and still save money, consider renting DVC points. Points go for around $16 to $18 per point, which is only $160 to $180 per night! Based on a stay during value season, as an example, a studio at Saratoga Springs the last week of September, Sunday through Friday, will cost you $373 per night, but with 10 points per night or $160 (we’ll use the lower point cost) per night, that saves you $213!! That is a huge savings and is cheaper than staying at some value resorts or all moderate resorts the same week! I asked my fellow Disney Vacation Club owners which point rental websites they would recommend to friends and family and these were the three that were recommended. I’ve provided the website along with key points about each. Please note that some of these website separate the Disney Deluxe resorts into premium and non-premium categories. Premium being resorts that are harder to book. Through DVC you can book 7-11 months in advance only if that is your home resort, so if you want this added perk of booking that early, there may also be an additional fee. Saratoga is considered a non-premium resort and is easily booked less than 7 months out. I’ve seen Saratoga available less than 60 days out, but don’t assume this and not be able to get a room. For more Disney planning ideas, check out my Ultimate Disney Planning Guide! You can also save money in Villas by bringing your own food, preparing and eating meals in your room! That brings me to the rooms! The deluxe rooms are so, so nice. I’ve learned the difference first hand, as I’ve also stayed in a value level resort (Pop Century) at Disney before my husband and I became DVC owners. The rooms are clean and comfortable. They are large and feel more like home while you are there. The villas provide studios and one, two and three bedroom villas. The studio provides a queen bed and pull out sofa, so they technically sleep four. The studio also has a kitchenette as shown above. The one, two and three bedroom villas have full kitchens. Between the 5 star restaurants, service, spa, golf and the privacy previously mentioned, Saratoga is perfect for an adult only vacation! But, with the many pools, arcade and kid activities, you’re kids will have a blast too! Kid activities include scheduled pool activities including water games and trivia and movies under the stars! Have you had a chance to stay at Saratoga Springs Resort and Spa? Do you have another favorite Disney resort? Share in the comments section below! Want more Disney? Check all of my Disney World Posts! Or fill out the form you see in the side bar! This entry was posted in Disney World and tagged adults, and, animal kingdom, arcade, artist pallett, boat transportation, buena vista, cheaper, deluxe, Disney, disney deluxe resorts, disney land, Disney Resorts, disney springs, disney vacation club, Disney World, dvc, epcot, for price of value, golf, golf club, hollywood studios, luxury, magic kingdom, moderate, planner, planning, points, pools, rent dvc, rent dvc points, rent points, rental, resort, saratoga, saving money, spa, springs, turf club bar and grill, value, with kids.